Your new way to display! 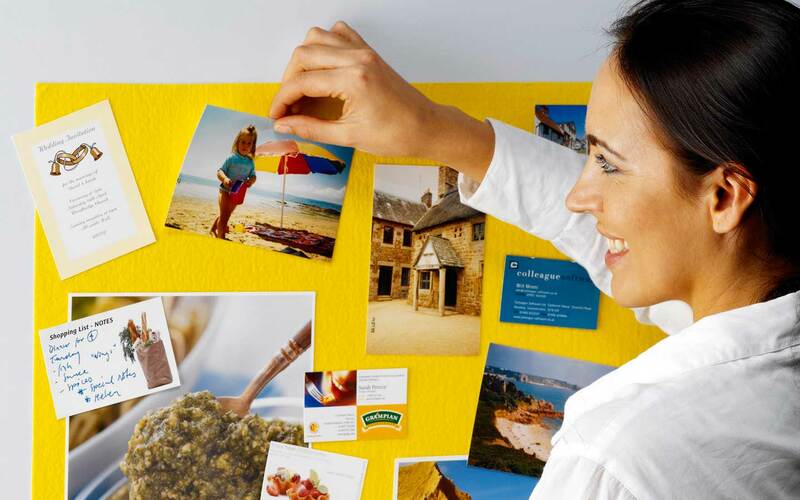 With our wealth of experience, customer knowledge and investment in product development, we have grown the range extensively over the years establishing our Gripping Stuff for Cards product as one of the most popular card hangers on the market and creating an innovative range of stick-able Dry Wipe boards. All Gripping Stuff!® products are made with a water-based adhesive and carry the EN71 classification, making them safe for children. We supply overseas and ship to most places in the world. We also welcome trade enquiries. If you have children or are a student ‘in halls’ you know posters and notes will be stuck on walls and doors typically with ‘oily-putty’ or ‘sticky-tape’!!! Ah the mess and damage that can be left behind means you will start gritting your teeth – STOP – there is an alternative… Gripping Stuff!® Poster Tape leaves no marks and is ideal for displaying posters or notes. Gripping Stuff!® Poster Tape comes on a roll (in 2m & 5m lengths), simply cut to size and ‘press-on’ to your poster or notes to make a perfect display. 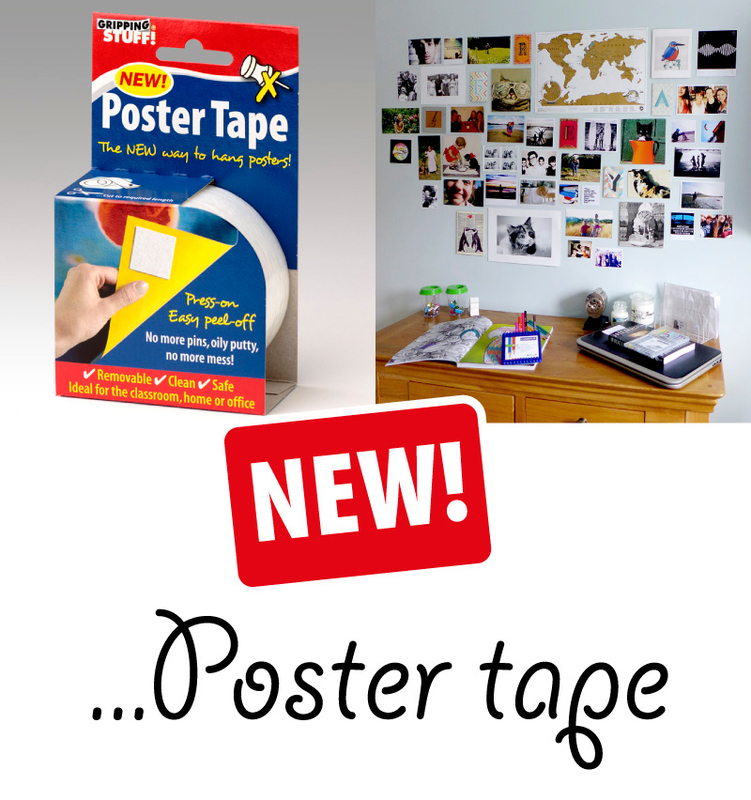 Poster Tape can be stuck on walls, doors or cupboards… stick it ‘almost anywhere’. You can reposition and remove simply by ‘peeling-off’ in seconds.